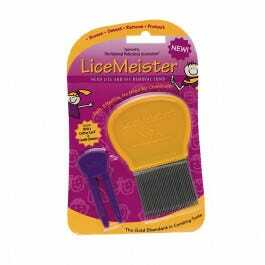 A safe and cost effective way to remove lice and nits while educating students and parents. New and Even Better! LiceMeister is the "gold standard" in lice removal. Endorsed by the National Pediculosis Association, this FDA cleared medical device comes with a larger, easier to hold, non-breakable recyclable handle. As an added bonus the new LiceMeister comb is packaged with NPA's Educational Critter Card showing parents what to look for and how to differentiate between nits and normal hair debris. When used for early detection and manual removal, the LiceMeister comb is the realistic and practical alternative to unnecessary and potentially harmful pesticides. The LiceMeister is the safe and cost-effective way to win the war against head lice and keep the kids in school, lice and nit free! The LiceMeister system is the safe and cost-effective way to win the war against head lice and keep the kids in school, lice and nit free! LiceMeister is the only system approved by the National Pediculosis Association to treat and prevent lice and nits from returning. When used for early detection and manual removal, the liceMeister comb, Critter Cards and Head Screening Sticks is the realistic and practical alternative to unnecessary and potentially harmful pesticides. Head lice can be eliminated - and they can be eliminated without toxic chemicals, and without spending lots of money. 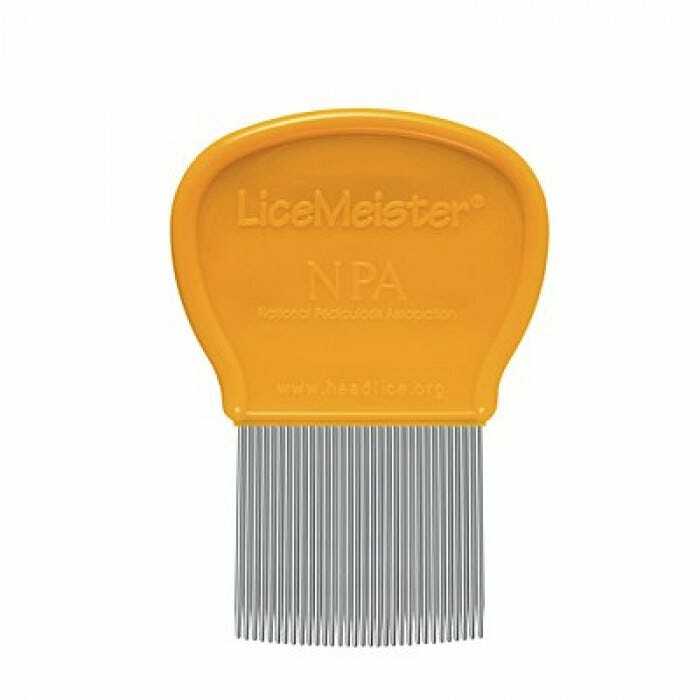 The NPA recommends combing hair wet and using the Licemeister brand comb, which is the only comb which as met their standards for lice control. The comb is environmentally friendly and cost-effective for your budget. It can be sterilized to use over and over again. The Key is in the Comb!